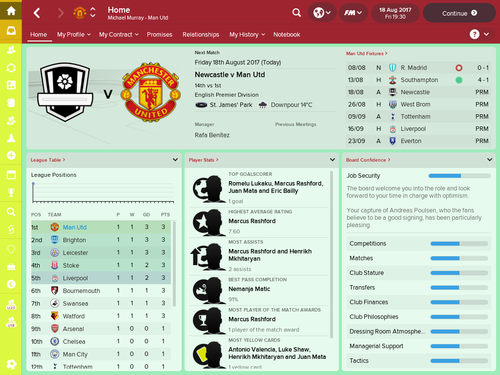 NOTE: If you are using Football Manager Touch 2018 then please see the second post. As with most recent Football Managers for you to make certain changes in Football Manager 2018 you need to create a new skin. For Football Manager 2018 you have three skins to choose from the Default skin, the Light skin and the Dark skin. Base 2018 Skin - This is the Default skin and is based on the Default Football Manager Skin. Base 2018 Dark Skin - This is the Dark Base Skin and is based on the Football Manager Dark Skin. Base 2018 Light Skin - This is the Light Base Skin and is based on the Football Manager Light Skin. - Added in the missing colour variables. - Updated for patch 18.3.0 - some colour tweaks from the patch and addition of the match condition colours for the light and default skins. When you extract the file you have downloaded you should have one folder (with a name starting base18...) and a readme.txt file. 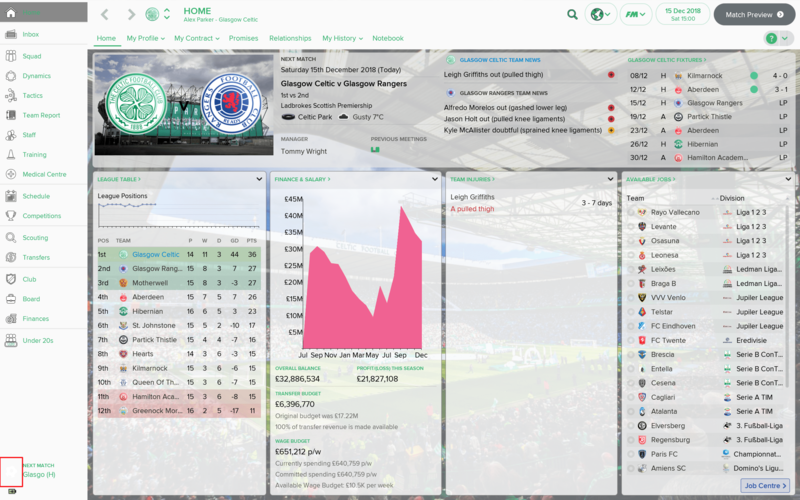 FM2018 again supports background changes directly this year, however if you are using the Dark Base skin there is a file you need to edit as it has a solid overlay over the background meaning that whilst the background is displaying you cannot see it. And rename the '!paper' and '!paper@2x' png files to 'paper' and 'paper@2x' which will make them take on the same transparency as those used in the other Base Skins. 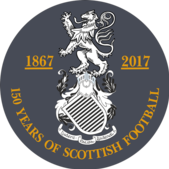 If you need further help on editing the transparency of the images then have a look at this guide - its for FM2015 but the editing of the graphics is the same. To get the 2D pitch icons (balls, nets, players) into the game they no longer need to go into the skins folder and can instead now be installed directly into the graphics folder. Note that whilst this file contains most of the text colour settings, some items are hardcoded, others are determined by the individual xml files and some others are set by the xml files in the fonts folder. 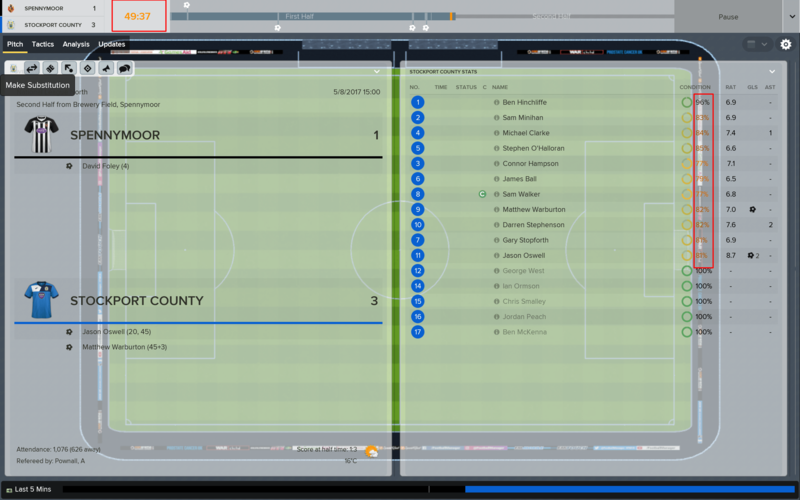 Like with Football Manager 2015 the colours of the various graphics that make up the skin are now controlled by settings.xml file located inside the settings folder. This is now done in game via the Preferences -> Interface -> Skin Colours screen. If you have made any changes to the base skins (colours, fonts, graphics) to get your changes to show you’ll need to go into the Preferences -> Interface Menu and untick ‘Use caching to decrease page loading times’ if it is ticked and then tick ‘Reload skin when confirming changes in Preferences’ then click confirm and your changes should be applied, if you have previousily ticked and unticked the required boxes a 'Reload Skin' button should appear in the bottom left corner, if this button appears you can click that if the Confirm Button is grayed out. 1. It is not sold or behind a paywall. 2. You don't advertise it as being exclusive to your website. 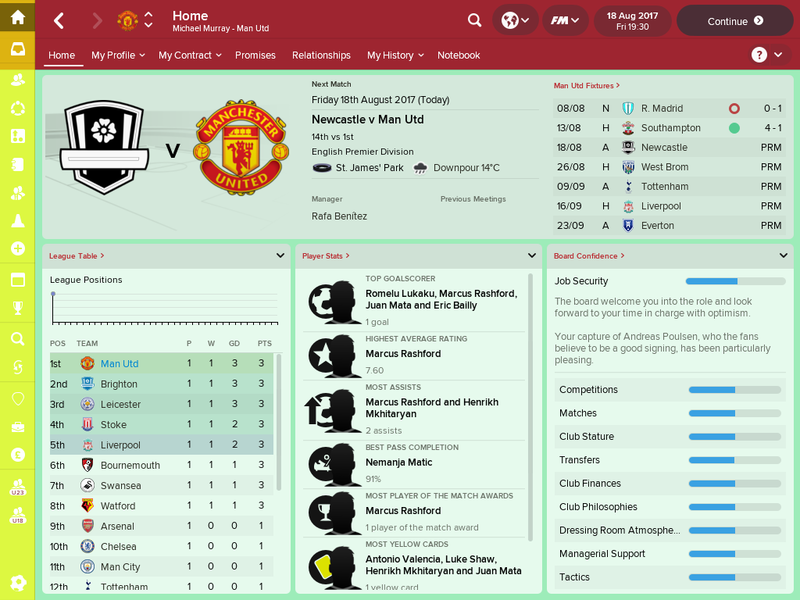 NOTE: If you are using the Full Mode of Football Manager 2018 then please see the first post as I have separated them again this year. As with most recent Football Managers for you to make certain changes in Football Manager Touch 2018 you need to create a new skin. 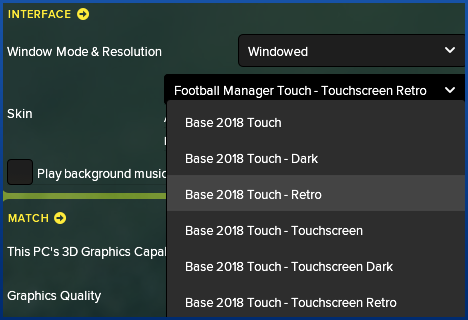 For Football Manager Touch 2018 you have six skins to choose from a Light one, Dark one and Retro aswell as Touchscreen versions of all three. 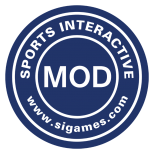 Base2018 Touch Skin - This is the Base Skin for the FMT (Touch) Mode and is identical in appearance to the Football Manager Touch Skin. Base2018 Touch - Dark Skin - This is the Dark Base Skin for the FMT (Touch) Mode and is identical in appearance to the Football Manager Touch - Dark Skin. 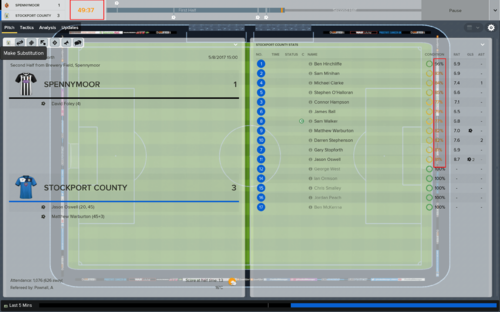 Base2018 Touch - Retro Skin - This is the Retro Base Skin for the FMT (Touch) Mode and is identical in appearance to the Football Manager Touch - Retro Skin. 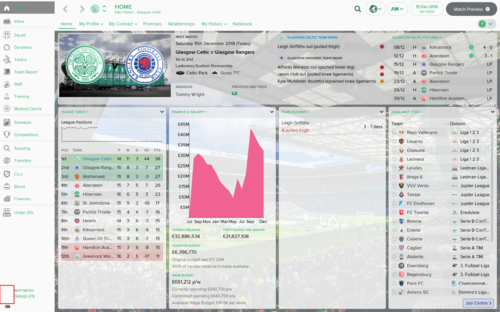 Base2018 Touch - Touchscreen Skin - This is the Base Skin for the FMT (Touch) Mode and is identical in appearance to the Football Manager Touch - Touchscreen Skin. Base2018 Touch - Touchscreen Dark Skin - This is the Dark Base Skin for the FMT (Touch) Mode and is identical in appearance to the Football Manager Touch - Touchscreen Dark Skin. Base2018 Touch - Touchscreen Retro Skin - This is the Retro Base Skin for the FMT (Touch) Mode and is identical in appearance to the Football Manager Touch - Touchscreen Retro Skin. When you extract the file you have downloaded you should have one folder (with a name starting base17touch...) and a readme.txt file. Since Football Manager 2015 the colours of the various graphics that make up the skin are now controlled by settings.xml file located inside the settings folder. 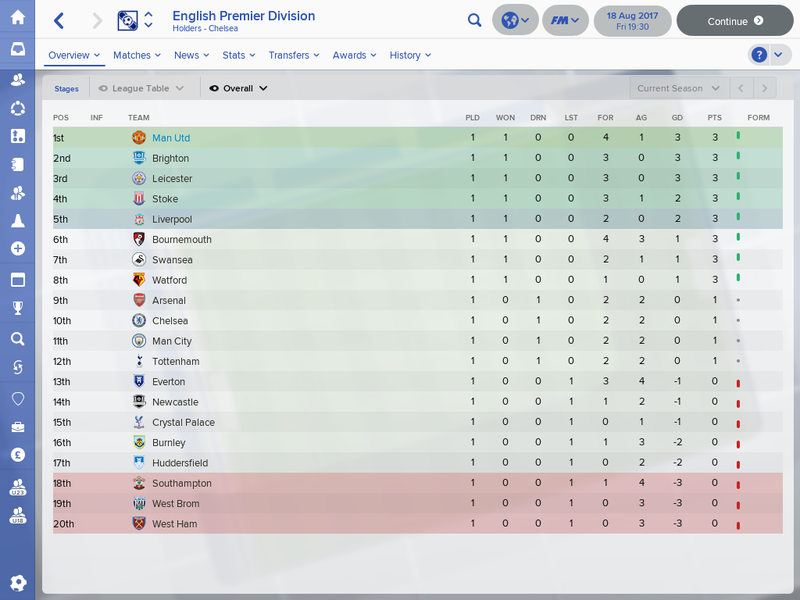 Is there a way to stop my own teams side bar from changing colour. I would like my team sidebar to be the same as all the other teams if possible. Locate sidebar menu table.xml change appearance: appearance="boxes/custom/interface/sidebar/paper" then change the paper image to a colour of your choice. I think that's what I did yesterday. but it is always possible. I could not find a menu table.xml. 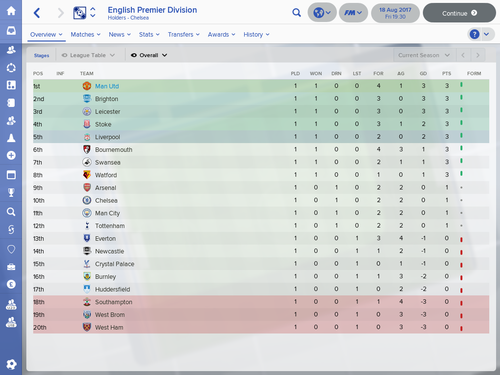 Do you know where it is in FM2018. I had better add that at the moment I am on FM2018 demo because I want to make sure I can do these things before I buy the full version. Go to Steam, then library, then click tools and check if you can see Football Manager 2018 Resource Archiver. You would need to extract the files and search for any files if you want to make changes to the vanilla game. If you only have the demo then you won't have access to the resource tool so won't be able to extract the FM18 files, so you'll need to wait for someone to carry out the changes for you. Thanks for all your help. Now I know I can alter the sidebar in the full game when I get it I am happy with that. Touch Mode Base Skins have been uploaded see second post above, however I don't use Touch Mode so let me know if there are any problems with them. I've also updated the Dark Base Skin to fix the problem with some of the colour variables missing (links are in the opening post). 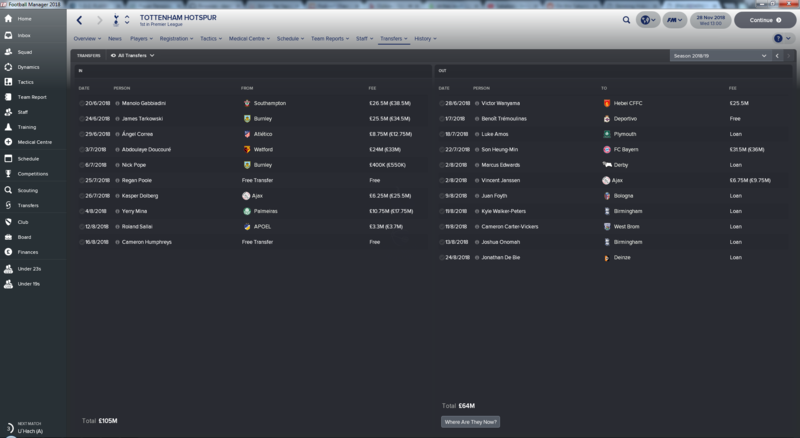 Is it possible to get rid of the shading you get on the squad screen (players who are selected have their row shaded in dark grey and ones that don't are in the default) and on the fixtures screen (European fixtures are shaded in blue, friendlies in purple, etc)? And change the RGB values to suit. At the top of those files will be a list of styles that sets the row graphics used for each instance you just need to set them to the standard one - "tables/standard/row/normal/row"
Note that the second and third options will require you to extract and transfer over those files from the fmf files. Do you know if it's possible to change the default in match tactics screen to the one with the vertical pitch and player list? Not from first glance as the new screen seems to be generated by the game instead of the xml files, though you can get to the classic screen by clicking the set-piece option on the right, that brings up a popup with the classic screens. So it might be possible to redirect tactics link directly to that panel but it will take a bit of looking around but it's on my list of things to do. im drawing a blank, i'm sure its in the graphics somewhere maybe. The height of these sections? @wkdsoul Yeah they should be subsection boxes, if not you'll need to check the xml file for those screens in case the game is changing the graphic used. Does anybody know what controls the icon at the bottom of the sidebar that tells us when the next match is? I have changed the colour of the sidebar to match the team as you can see, but when viewing a team that plays in white, the icon is hard to see due to that being white also. I have attached a pic of what I mean. It's controlled by the 'next fixture icon' and 'next fixture today icon' xml files located in the \panels\menubar folder (the other files in that folder control the other icons on the sidebar) which you'll need to extract from the panels.fmf file. Locate the colour bit and change it to the colour of your choice. 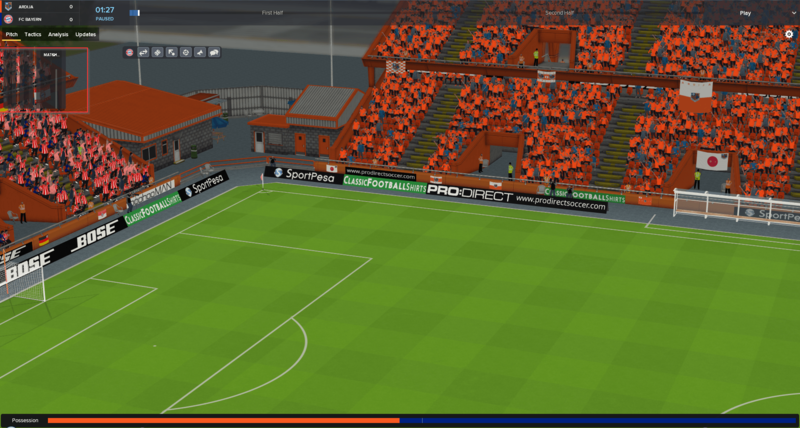 You need to download a stadium background pack, once you have added one of them they should show automatically unless you are using the Dark Base Skin then you'll need to follow the instructions in the opening post to add support for backgrounds. Is there a color imbalance between the sidebar & titlebar, having a mare getting to them to the same shade even just both set to primary. The sidebar is slightly transparent so that is likely causing the mismatch, also if the shading of the two graphics isn't the same it will affect the colour when the game changes it - if you make both graphics solid red they should match. Is there a way to disable font smoothing? Not through skinning, if you have a problem with the font display then it is worth raising the issue in the bugs forum. OK, I have another question. How can I add CA and PA attributes to the player attributes panel so that people who have In-Game Editor can see it? I know that it's possible because i've seen it on other skins in the past, such as the Helvetica Lite 2016 skin. My knowledge on skin edit is pretty basic but i've managed to download helvetica lite 2016 skin and copy/paste the art player attributes panel.xml file to FM18 base Dark skin PANELS folder, but in-game it keeps not showing CA/PA values. where PCAB property is CA value and PPAB PA value. But when i load the skin with the xml file inside the skin folder the game shows me an error. editable_client_object_property_panel - prob this line i think the name changed last year. Settled on the 2 tone with a pattern anyway, used the club badge to cover it may or maynot add a tile fade at the widget end, still playing with the style. Hi, I have a problem with the base dark skin and with other skins too, how can I solve this. I am using the base light skin and during the match the time and the condition are a little to bright and hard to see. Is there any way to change the colour of these. And change them to suit. I have seen on another forum that someone had the below view options when looking back at previous matches. 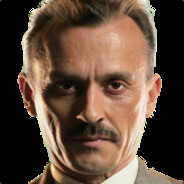 I asked the person what skin it was but never received a reply. Is it possible if you can tell me how I can do this? Cheers mate. That is exactly what I was looking for! I have a problem with the topbar, it's almost impossible to read the menu items for some clubs. I use the default dark skin. - how can I change the colors of the list (circle # 1)? - is it possible to remove the background blur (circle # 2)? In the top of the bar (circle # 3), where there is not the blur, I can read. - can I use the editor or do I have to change the skin? Though rather than adding in new lines you can just adjust the existing ones - locate the lines for the colours you are having problems with and adjust the output colours. Yeah should have 18 in the file names for FM18, looks like I left in the old link (always seem to miss one every year ) fixed it now. Which xml files are used for pressroom, tunnel and match preview background?? They're not controlled by xml files the game displays the image files called 'dressing room' for the team talk screens, 'tunnel' for the tunnel and 'default' for the preview backgrounds - if you want to replace them you just need to place image files with those names in the graphics\backgrounds folder for the skin you are using. @michaeltmurrayuk After 18.2.0 patch I think something happened to "Transfer History" panel, how can I fix this increased "row height" thing?